Sterling Peterson – Arizona Litigation Attorney at Gunderson, Denton & Peterson, P.C. Sterling Peterson – Arizona Litigation Attorney at Gunderson, Denton & Peterson, P.C. Video Transcription Sterling Peterson, Gunderson, Denton & Peterson, P.C. : Hi. I’m Sterling Peterson. 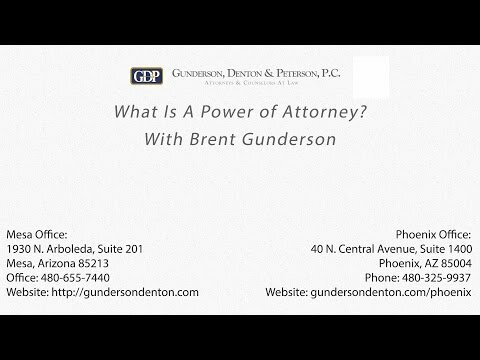 I’m a partner at the law firm of Gunderson, Denton & Peterson here in Mesa…. Read the rest of Sterling Peterson – Arizona Litigation Attorney at Gunderson, Denton & Peterson, P.C. I adopted my brother in Mexico 10 years ago, after my parents could no longer take care of him. We are living in the United States now. How can I get him a green card? Read the rest of I adopted my brother in Mexico 10 years ago, after my parents could no longer take care of him. We are living in the United States now. How can I get him a green card?